Digging this and LOVE the shot. 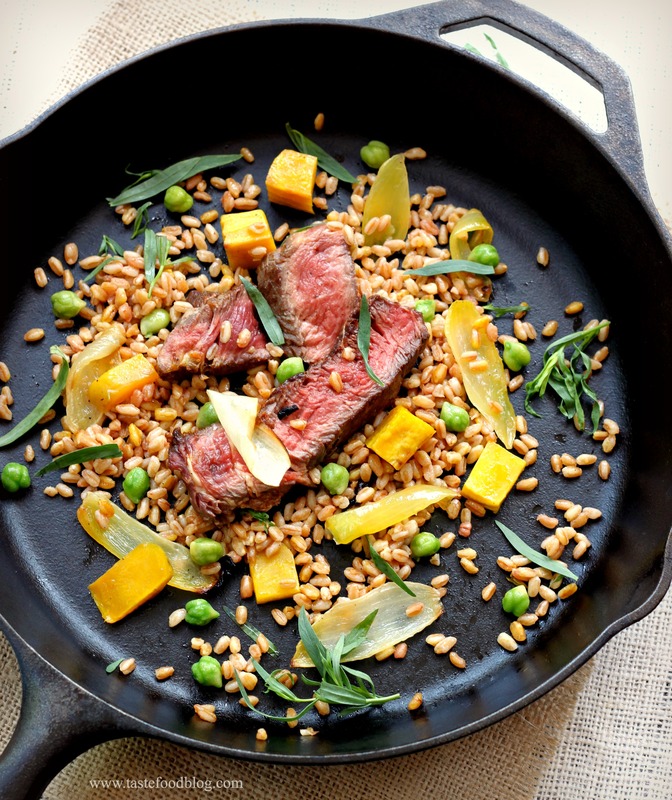 Farro is a fave (of course, so is ribeye!). What luck! I just scored some golden beets today. It’s hot and rainy here, but it still sounds quite nice to me. A perfect combination for a very cold spring. Golden beets, fresh tarragon and spring peas! I have yet to cook farro and I think it is time. 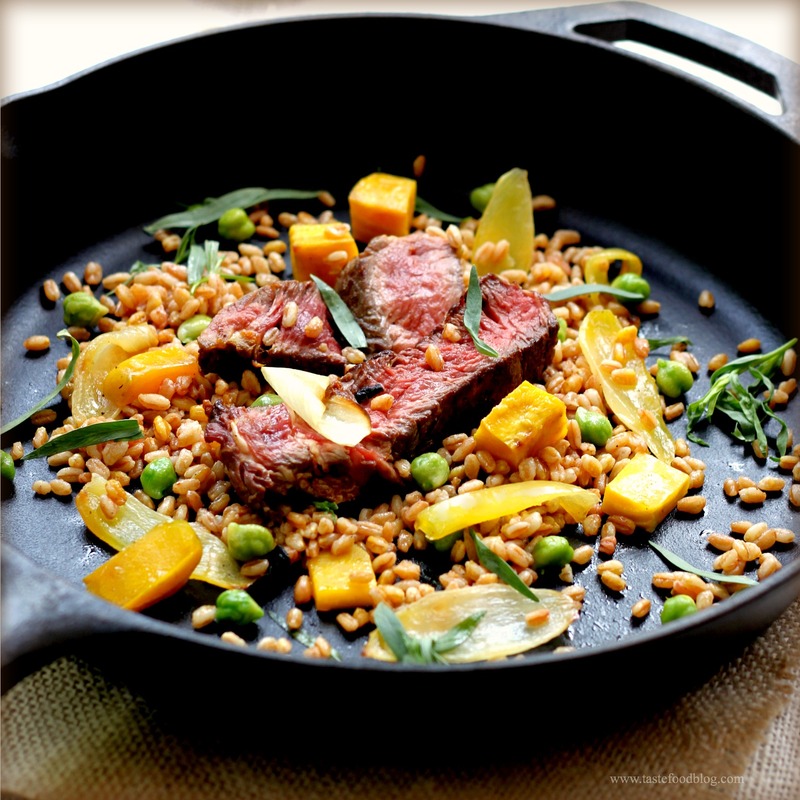 Huge fan of farro, this dish has everything I like, plus it looks amazing! Never had farro but will certainly try to make this. Great shot. Colorful, tasty and healthy! This dish is perfect. Love this recipe. Going to try it out first chance I get. And the picture looks amazing too. This looks just fantastic! I’m working on a steak and farro dish now for turf (as in vegetarian) and turf (beef) combo. Love!! Help! You don’t say what to do with the garlic! Fixed – thanks! Add it to the farro with the oil and dry spices.